Unsigned rock band Intraverse has taken the iTunes download chart by storm. Their debut single, Please Don’t Share Your Kisses, which was released on Monday (December 6) reached number four in the rock chart above The Beatles, Led Zeppelin and The Rolling Stones. The five-piece alternative rock act from Tunbridge Wells have recently supported Might Boosh and The IT Crowd actor Matt Berry’s band in a UK-wide tour and put their success down to some tireless gigging around the country. Intraverse is also set to play next year at Mayfield’s Music on the Meadow in May and the Local & Live Festival in Tunbridge Wells. Music Week has reported that we7 CEO Steve Purdham believes mobile devices will overtake PCs to become the primary listening device to access digital music in the coming year. With the online music landscape changing dramatically in 2010, Purdham has given his top five predictions for the coming year. - Online radio services will continue to grow in popularity and together with traditional radio will increase overall music listening hours dramatically. - Mobile devices will become the primary listening device to access digital music overtaking tethered PCs. - Music downloads will begin to plateau in the UK, and increasingly be replaced by music streaming and subscription based services. - The music industry will increasingly look to streaming services as the potential answer to the crippling problem of illegal downloading. As a result, both subscription and ad-funded services will take centre stage in the consumer mind-set. - Apple will at last launch its digital locker service allowing all purchased downloads to be accessed from any location and Apple device. This will quickly be followed up by an iTunes subscription service. Following this morning's fire on a show tour bus, at London’s O2 Arena organisers are currently assessing whether Kings of Leon will go ahead with tonight’s gig. A spokesperson for the London Fire Brigade said that around 60 fire-fighter’s were called to the scene at 8:18am (GMT) this morning (December 21) to deal with the blaze, with two vehicles on fire. The fire, which took place in a loading bay at the arena, is now under control. Assessments are currently underway and a decision will be made in the next couple of hours as to whether tonight’s Kings of Leon show will go ahead. Following the recent announcement of Foo Fighters as the first headliner for T in the Park 2011, festival organisers DF Concerts and founding partner Tennent’s Lager have confirmed that Blink-182 will also join music fans in Balado for the July event. Formed in 1992, the Californian pop punk trio have 25 million worldwide album sales under their belt, and released five studio albums including multi-platinum selling breakthrough album 'Enema of the State' before splitting up in 2004. 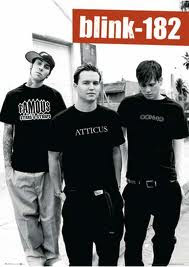 The band got back together last year for the 51st Grammy Awards and a new album is planned for release in spring 2011, with Blink 182 expected to showcase a new track or two for their Scottish fans. They are not one of the headline acts. Christmas Earlybird Tickets for the eighteenth T in the Park at Balado, which takes place from Friday 8th to Sunday 10th July, are now sold out. The next batch of tickets for T in the Park 2011 will go on general sale in February 2011. A study for the recording industry lobby group BPI said yesterday, at least 1.2 billion songs will have been illegally downloaded by the end of 2010 in Britain. The estimated figure dwarfs the 370m tracks expected to be bought legally in 2010. Music industry executives said the figures underlined the scale of the problem facing record labels and other investors who are reluctant to spend on new talent when revenues are being undercut. Illegal downloading "is a parasite that threatens to deprive a generation of talented young people of their chance to make a career in music, and is holding back investment in the fledgling digital entertainment sector," said Geoff Taylor, BPI chief executive. A young musician from Wolverhampton admitted his part in a fraud scheme involving stolen credit cards to pay for downloads on iTunes and Amazon MP3 as part of a £500,000 royalties con. Lamar Johnson, aged 19, posted music on the two sites and then used the stolen details to buy them thousands of times over. The teen admitted he was part of a gang that was collecting royalties from the downloaded tracks. Johnson is the youngest member the gang, who allegedly downloaded the songs 6,000 times between January 2008 and June 2009. The hearing was at Southwark Crown Court and the BBC reports that Johnson pleaded guilty to one count of conspiracy to defraud. Sentencing was adjourned yesterday and he was remanded in custody. Nine remaining defendants will face sentencing on January 25. Rob Da Bank revealed the first batch of artists for next year's Bestival today via Twitter, announcing 16 acts billed for Saturday, September 10th at the enormous bash on the Isle of Wight. The Cure will play their only European show next year when they headline Bestival, it was announced today. Primal Scream will also perform, playing their landmark album Screamadelica in its entirety. Robyn and Crystal Castles will bring the electronic pop, while A-Trak and Boys Noize keep the party rocking, with festival favourite Magnetic Man and Katy B also appearing. Brian Wilson, DJ Shadow and Grandmaster Flash will also be on the bill for the festival which takes place on the Isle of Wight from September 8-11, 2011. More acts will be announced early next year. 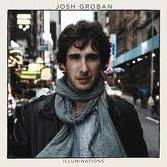 Multi-platinum-selling pop-opera sensation Josh Groban returns with his long-awaited fifth studio album 'Illuminations'. On the new album, Groban worked with veteran producer Rick Rubin, known for his critically acclaimed work with Metallica, Red Hot Chili Peppers & Johnny Cash among many others. The bracing result creates a new vibe, which Groban calls "the rawness of an intimate folk record and the power and warmth of a classical record." Tracks such as Hidden Away and Higher Window try to be conventional pop ballads but Groban’s vocal ability is too grand for pop. The mandolin melody on, If I Walk Away, segues into an explosion of strings. He sounds more at home on the spacious Galileo. Illuminations feels like natural evolution for Groban, an enjoyment of the new direction of his artistic expression whilst mindful and appreciative of where he’s been.